Getting a new car requires that you make good decisions about your vehicle and your finances. Fortunately, there’s a way to make the financial part much easier: get pre-approved for your auto loan before you start shopping for cars. Learn how preapproval works so that you can focus on your next vehicle’s features, benefits, and price – instead of worrying about financing. 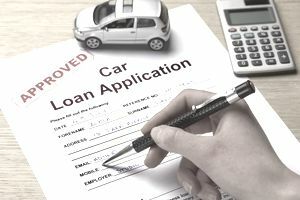 When you get pre-approved for your auto loan, you find out what lenders are willing to do for you, you gain negotiating power, and you avoid last-minute surprises (which often come after you’ve spent time and energy on a deal). What’s more, you can keep your options open – there’s no obligation to use a lender that preapproves you – while getting valuable information. How Much Can You Afford? You don’t want to fall in love with an auto that will break your finances. Alternatively, if you’re going to splurge, you can do so with confidence. How Much Are Monthly Payments at Various Purchase Prices? Don’t let the sales staff figure this out for you – they can “massage” the numbers to make a purchase look more appealing (while at the same time it becomes more expensive). What Interest Rates Are Available? You’ll get a feel for the loans available, and you at least have one or two offers in hand before you walk into a dealership. Understand the Costs: Your expenses are more transparent when you’re in charge of financing. There’s no fuzzy math where you have to evaluate optional features based on a monthly payment for the next five years – you either pay more for the car, or you don’t. Smooth Sailing: If you’ve gone through the pre-approval process, you can buy whenever you’re ready. Other buyers may find out about significant problems in their credit reports at the last minute – but you will have already cleared up any issues. You can do your shopping and buying all within the same day if you want. Unfortunately, auto dealers have a bad reputation. There are plenty of good ones out there, but the bad ones give every dealer and salesperson a bad rap. You never know who you’re going to deal with, so having an auto loan preapproved improves your chances of negotiating on what matters: your new auto’s price. Dealers are notorious for trying to focus your attention on the monthly payment (is it a payment you can stomach?). That way, they have room to fiddle with other parts of the deal. A monthly payment is calculated using several ingredients: the loan amount, the loan term (how many years), and the interest rate. Once you agree to a payment, they can try to squeeze profits out by manipulating these ingredients. When you go in with a preapproved auto loan, the payment is none of the dealer’s business – so there are no games to play. You and your lender have already agreed to the financing, and the dealer just needs to decide if your offer to buy is high enough for them to let go of the car. Going in without an offer means you’ll have to deal with other aspects. You might believe that you qualify for 0% financing (or whatever the day’s teaser is) when you actually don’t. You may spend hours looking at vehicles and negotiating with dealers, only to find out that you’re in above your head. The auto buying process can be grueling, so focus your attention on what you know will work. Don’t worry about the logistics of funding your purchase. When you get preapproved for your loan, you can focus on finding the automobile that’s right for you. The dealer will work with your lender to complete funding. You’re not a banker, and you don’t need to be. Dealers get paid by banks, credit unions, and other lenders all the time. Sometimes it’s wise to keep your financing details to yourself for a while. Let the dealer know that you will not need financing, and keep negotiations focused on price. If you let them know that you’ve got a loan lined up elsewhere, they will want to change that (and you need to keep the conversation on price). Auto dealers may get a bad rap. Some of them are perfectly reasonable, and they just want to sell you the right car at a fair price. Don’t ignore financing offers and manufacturer incentives just because they come through the dealer. It’s possible that the dealer can do better than your pre-approved loan, so you should at least listen to the offer. Make sure to read all the fine print (it is in writing, right?) before moving forward. If you get a great offer from the dealer, but you want to refinance after the deal is done, you can do so at any time.